Grab a tiered valance from Dollar General and paint it metallic gold with this super easy technique. 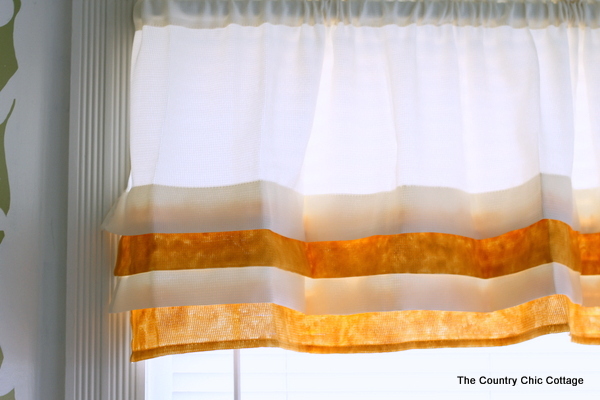 This project will only take a few minutes of hands on time and you can have a custom painted valance. Don’t love the gold? Just change it out for any color that matches your home decor. 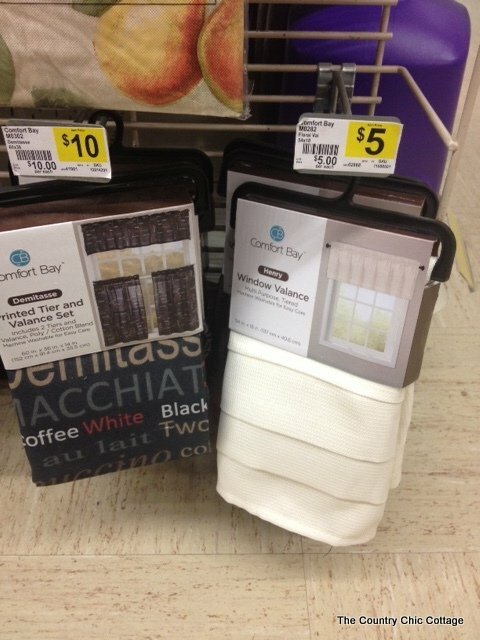 You will need to pick up a tiered valance from Dollar General in the section with the other curtains. 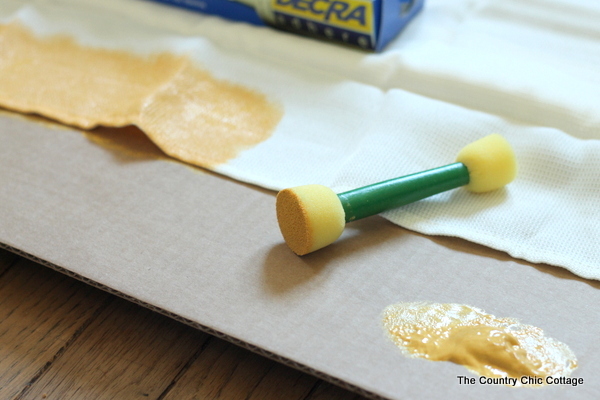 You will also need some metallic gold paint that is intended for use with fabric. I used the brand that is pictured below but any that you can find will work. The tiers on this valance making painting stripes a breeze. Just flip up the tiers, paint most of the tier you want to be gold, allow to dry, and more onto another tier. I didn’t even have to use masking tape! I used a sponge pouncer brush to really get the paint into the fabric. 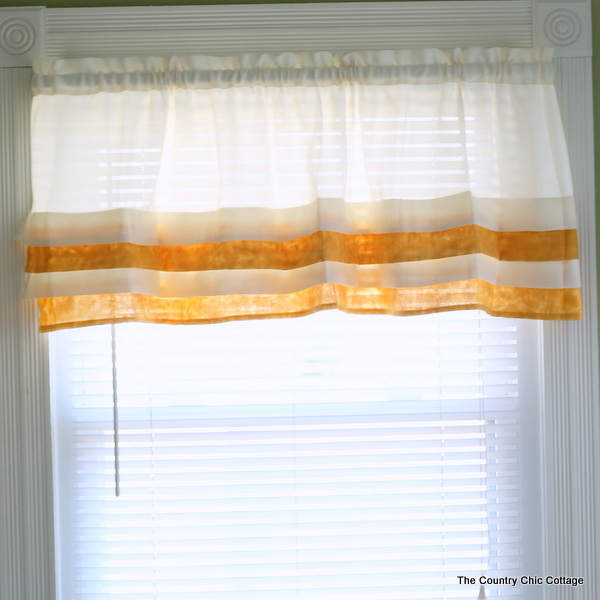 I made two tiers of my valance gold to mimic a striped effect. You could do one, two, or more depending on the look that you are going for. Once the paint is completely dry you are ready to hang this one up and enjoy it in your home. NOTE: Please be sure to read the package instructions that come with any paint you purchase and follow them completely. This project is a really fun way to add a pop of color to your windows. 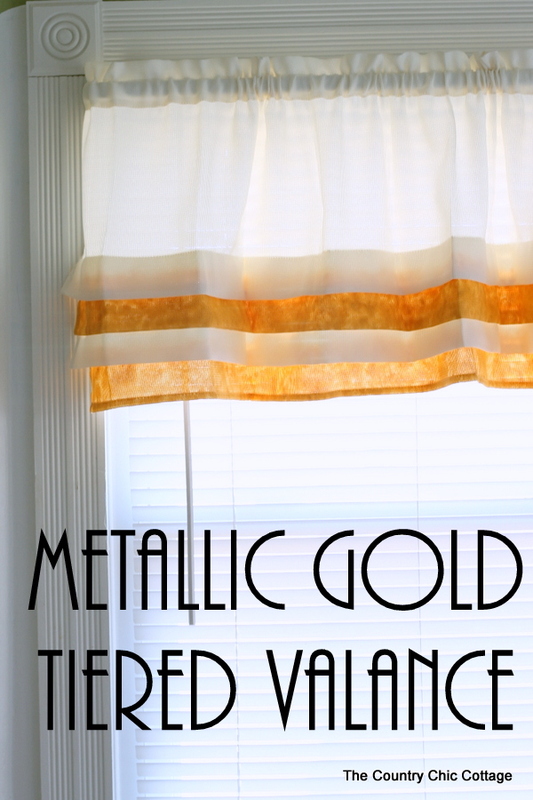 Grab a valance from Dollar General today to get started on your own metallic painted valance. 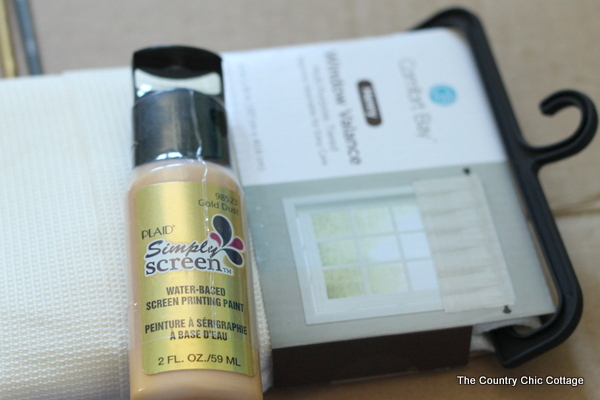 A fresh new curtain can update any room instantly! So pretty Angie!! I love the stripe look and the metallic gold is so stylish! I’ll have to try this paint out! What an amazing transformation from boring to fabulous! Love it!